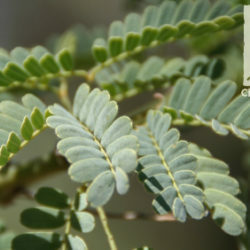 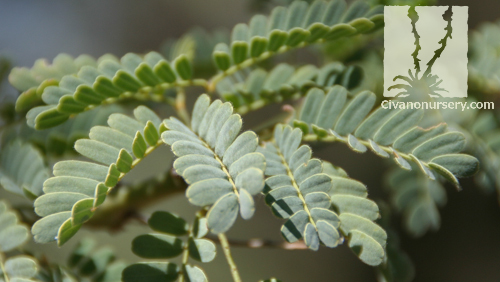 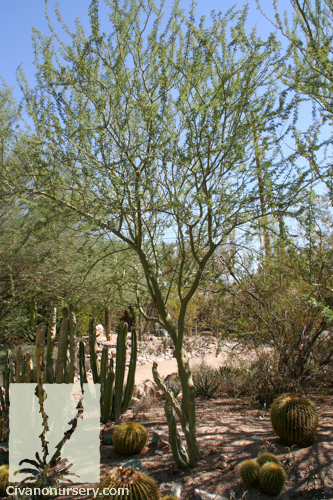 Palo Verde is the state tree of Arizona, and the name translates from Spanish to “green stick,” in reference to the tree’s branches that stay green year-round. 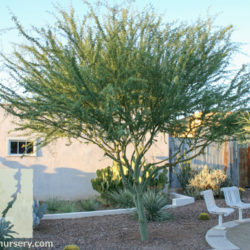 This unique trait allows the tree to appear evergreen, even when the leaves have been shed in winter or summer drought. 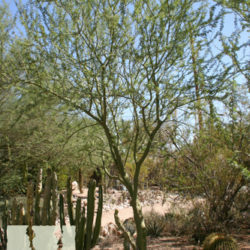 Compared to other varieties of Palo Verde, the Palo Brea features a more twisted, picturesque form, larger stature, and distinctive bark that resembles a smooth green sheet over the trunk and branches. 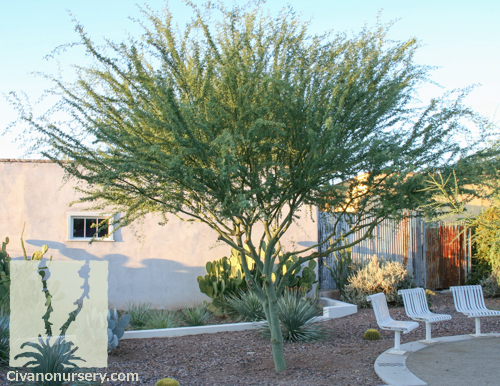 This tree provides year-round interest to large-scale desert landscapes with its interesting silhouette and clusters of fragrant, bright yellow flowers that coat the branches in spring.